Greybull Stewardship has announced that we have made a growth investment in a unique platform that connects insurance companies with third-party vehicle and property photo inspections via smart phone apps. 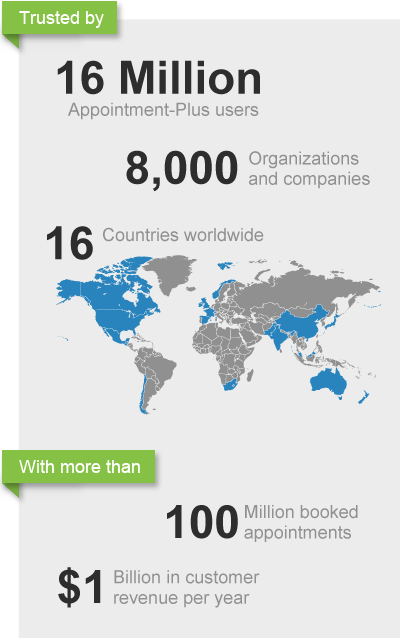 The company, Onsource (www.onsourceonline.com), has a network of over 14,000 independent photo inspectors. I am very excited to partner with the founders of Onsource, Steve Rubin and Tim Schneider, as they have done an outstanding job growing the company. Below is the press release about the growth investment. Greybull Stewardship has announced that we have acquired an education company that helps health professionals maintain their licenses and certifications. The company, Summit Professional Education (www.summit-education.com), offers seminars each year for over 75,000 physical therapists, occupational therapists, speech therapists, K-12 teachers, and others. Greybull Stewardship partnered with the company’s CEO, Scott Vogel, to make the acquisition. Below is the press release about the acquisition. NASHVILLE, Tn. (December 15, 2014) – Summit Professional Education provides high-quality continuing education workshops and seminars to over 75,000 professionals each year, and it has been acquired by Greybull Stewardship in partnership with its CEO, Scott Vogel. Summit provides workshops and seminars for physical therapists, occupational therapists, speech therapists, K-12 teachers, and others in all fifty states on a broad range of topics. The workshops are approved by many different states, accreditation agencies, certification agencies, and others which enables these professionals to meet the continuing education requirements for their profession. Nashville, Tennessee-based Summit Professional Education provides workshops and seminars each year for over 75,000 allied health professionals such as physical therapists, occupational therapists, speech therapists, K-12 teachers, and others. For more information, please visit www.summit-education.com. Greybull Stewardship, L.P. closed in January 2014 on its $20 million round two investment fund. Since the fund’s January 2010 inception, annual returns have realized 23 percent after fees. As a result, existing Limited Partners (LPs) increased their commitments and new LPs were added for the second four-year cycle. This fund is industry agnostic, focusing instead on lower middle market companies with between $1 to $3 million in EBITDA. Other criteria for the investment fund include strong competitive advantages, recurring revenue and management teams that hold significant equity in the businesses and plan to remain in place after an investment. The fund’s evergreen structure is central to Myers’ strategy of realizing long-term, cash-on-cash returns with maximum flexibility for business owners. Evergreen investment funds have the flexibility to exit investments based on what is best for the business, rather than because of restrictions created by a fund’s limited life or other fund-specific limitations. Greybull Stewardship also focuses on generating returns by harvesting cash from annual profits through tax efficiencies in addition to the sale of investments. Such tax efficiencies are often well aligned with the objectives of portfolio company co-owners and management. StormSource Software, the developer of Appointment-Plus, the worldwide leader in mobile and online scheduling software. Main Street Gourmet, a custom bakery specializing in custom foods such as cookies, muffins, brownies, granola, loaf cakes, toppings and desserts for grocery store bakeries and restaurants. ABC Sports Camps provides registration services for sport camps and events by offering complete online management, marketing and reporting tools. Real Estate Institute and Bookmark Education offer continuing education for real estate, mortgage, insurance, and legal professionals. “Over the last three years, the company has grown from just a handful of employees to a current team of over sixty people. In that time we’ve grown revenue at a compound rate of over 35% per year and become the leading appointment scheduling software in a significant market. We look forward to our continued partnership with Mason and his investors as we continue to expand our services globally,” said Bob La Loggia, founder and CEO, Appointment Plus. Greybull Stewardship exists to provide business owners an ideal co-owner and steward of their business and to earn attractive long-term, compounding, cash-on-cash returns for investors. Greybull’s evergreen fund structure and flexible investment horizon are designed to align with the objectives of portfolio company co-owners and management. The portfolio is comprised of growing, profitable organizations in the lower middle market with between $1 to $3 million in EBITDA. Greybull Stewardship is excited to announce that we have invested more capital into Appointment Plus, the leading business automation software specializing in appointment scheduling. By doing so, Greybull Stewardship has increased its ownership percentage in a growing company that plays an important role in the success of over 8,000 businesses and organizations worldwide that use software for appointments of all kinds. I am proud to be a partner with Bob La Loggia, founder and CEO, and the team at Appointment Plus. Over the last three years, I have seen the company grow its revenue at a compound growth rate of over 35% per year and grow its team from a handful of people to a strong company of over 60 employees. Their innovative Software-as-a-Service (SaaS) has become the leading appointment scheduling software in a significant market. With business customers who range from Tesla and Jenny Craig to single massage therapists and dog groomers, Appointment-Plus has had a tremendous positive economic impact on businesses in 16 countries. Appointment Plus helps automate the scheduling process for businesses and organizations that depend on accurate appointment scheduling — by letting their customers book appointments and reservations online — 16 million users, 8 thousand companies, 16 countries, 100 million appointments, $1 billion in customer revenue facilitated in a year. 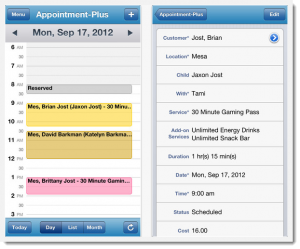 Appointment-Plus was launched in 2001 and is the most flexible and feature-rich application on the market today. For over 10 years they have been an innovator in online appointment technology. Among their new features are drag-and-drop functions allowing customers to reschedule appointments in seconds and a new “booking” function for instant bookings from inside Facebook. Appointment-Plus success has been recently recognized by Inc magazine’s list of fastest growing private companies and by Phoenix (AZ) Business Journal’s recognition as one of the Valley of the Sun’s top software firms along with a recognition of Bob La Loggia as a tech titan. 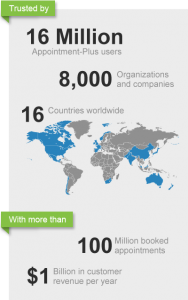 With industry verticals that range from automotive and logistics to colleges and healthcare, Appointment-Plus multiplies positive impacts as over 16 million people use their software for self-booking and mobile reservations around the world. Greybull Stewardship, a unique, long-term oriented partnership of business owners investing in exceptional small businesses, announces the acquisition of Real Estate Institute and its sister company, Bookmark Education. Both companies are headquartered in Niles, IL, which neighbors Chicago. Terms of the acquisition were not disclosed. Since 1992, Real Estate Institute has been a leader in Illinois providing high quality online, classroom, and independent study programs for professional licensees. Known for outstanding customer service, the company’s positive reputation with loyal students has enabled growth beyond its real estate roots to include insurance, mortgage, and legal professionals. Last year more than 20,000 professionals completed programs with the school. After directing the company’s operations for nearly ten years, Larry Toban will become the Real Estate Institute President as part of a planned management transition. Larry helped to select Greybull Stewardship from nearly a dozen firms that competed for the opportunity to invest with him in the company’s growth. “This is a game changer for the organization. We are excited to work with Greybull as we expand our expert team of employees and instructors who are all passionate about fulfilling our students’ education and compliance requirements,” said Larry Toban. “I’m delighted that Greybull Stewardship understands the core strengths and potential of our business. With Greybull’s investment, support, and long-term investment approach, I’m confident that Real Estate Institute and its employees will continue to prosper,” added Alan Toban, founder. Former owners Alan and Ellen Toban will assist Greybull Stewardship throughout the transition. Appointment-Plus, the worldwide leader in mobile and online scheduling software, is proud to announce that 100 million appointments have been scheduled through its scheduling software system. Booking these appointments were small and medium-sized businesses, Fortune 500 companies, corporations, colleges and universities, medical practices and healthcare facilities, government agencies and other organizations and their customers, patients and students in 16 countries worldwide. These businesses and organizations rely on Appointment-Plus for improving, automating and simplifying the appointment-booking process, which results in more efficient operations, more scheduled appointments and more customers. Appointment-Plus reached the impressive milestone earlier this month. The online scheduling software provider now books an average of over 3 million appointments monthly, which equates to more than one appointment scheduled per second. Appointment Plus, a portfolio company of my investment partnership, released their latest native appointment scheduling apps for iPhone, iPad and Android and they are awesome. The apps enable organizations to manage their customer appointment schedules while they are on-the-move: open up appointments, cancel appointments, change appointments, enter customer data, view the schedule, and more. The apps are fast, sharp, and easy to use. The response has been excellent with hundreds of new customers signing up for Appointment Plus every day. Appointment Plus is the clear leader in online appointment scheduling with many thousands of clients, millions of appointments booked each month, and more integrations with key software in the marketplace (Quickbooks, many calendars, many email marketing companies, etc.). We imagine that most business owners will manage their business through their mobile devices rather than through a desktop in the future. Appointment Plus has made this easy. In the future of mobile appointment scheduling, Appointment Plus is developing apps with a “customer view” scheduling application for Apple and Android as well, which will further simplify the scheduling process for its clients’ customers, patients and students. The last week has been a big one for awards at companies affiliated with my investment partnership, Greybull Stewardship. We are focused on investing in existing businesses with $1 to $3 million in net income that want a stable co-owner (minority or majority equity positions) that enables the company to pursue its own unique growth plan. Our fund will not force the company into particular growth plans or exit plans as most funds require. Bob LaLoggia, the CEO of Appointment Plus, was named the Business Leader of the Year by the Arizona Governor for the Celebration of Innovation Award Event. 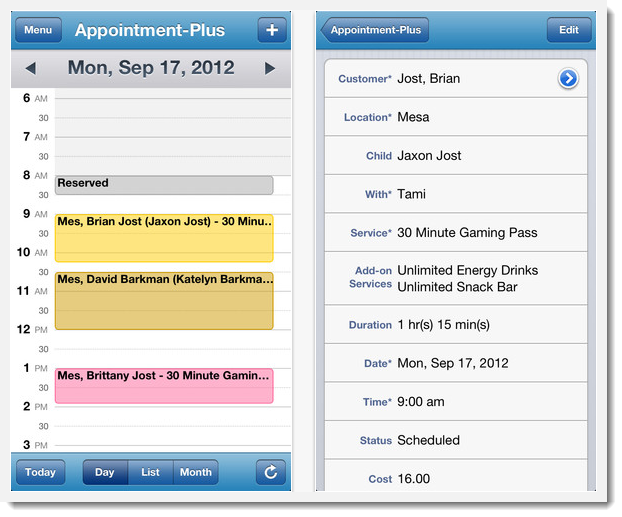 Appointment Plus is the leader in online appointment scheduling software for any industry and any size business. The number of appointments booked through Appointment Plus every day is getting to be unbelievably huge. This award will be presented in December. Pat Troxel, Director of Compliance for the National Holistic Institute, was named the Financial Aid Professional of the Year for California. The National Holistic Institute is the best massage therapy school in the country and has 7 locations in California. This award will be presented in October. Earlier in the year, Steven Marks, co-CEO of Main Street Gourmet, received the Business Leader of the Year award from the Greater Akron Chamber of Commerce. Main Street Gourmet develops custom, signature bakery items for restaurant and grocery companies. It is fun to work with great people — congratulations to these people on their recent awards!